1 . 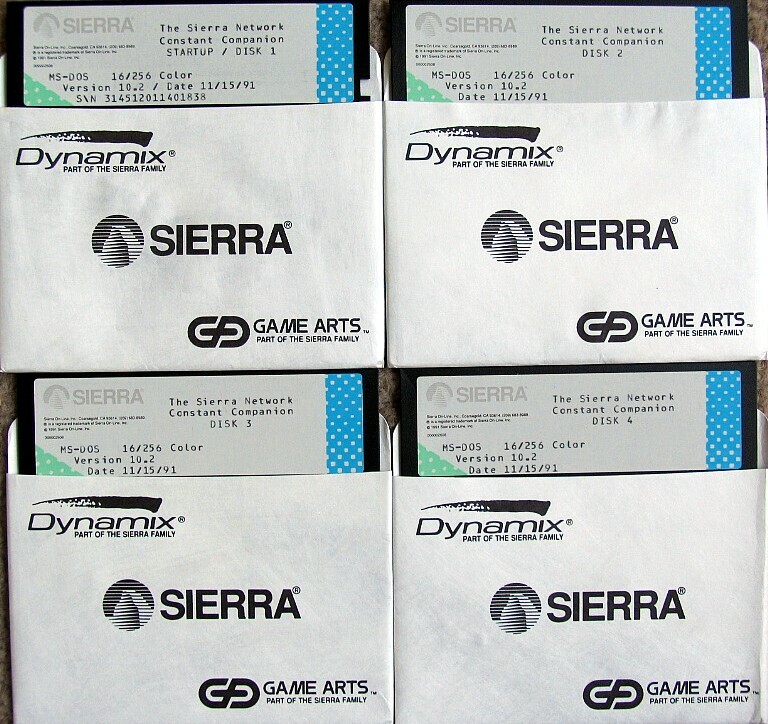 The Sierra Network – Starting with King’s Quest and continuing through Space Quest, Leisure Suit Larry, Quest for Glory, Gold Rush, Codename: Iceman, and Manhunter, I was a huge fan of Sierra games growing up. My family also jumped onboard with the internet fairly early on, getting a Prodigy account in 1990. When Sierra On-Line made The Sierra Network available in 1991, I thought my dreams had come true. 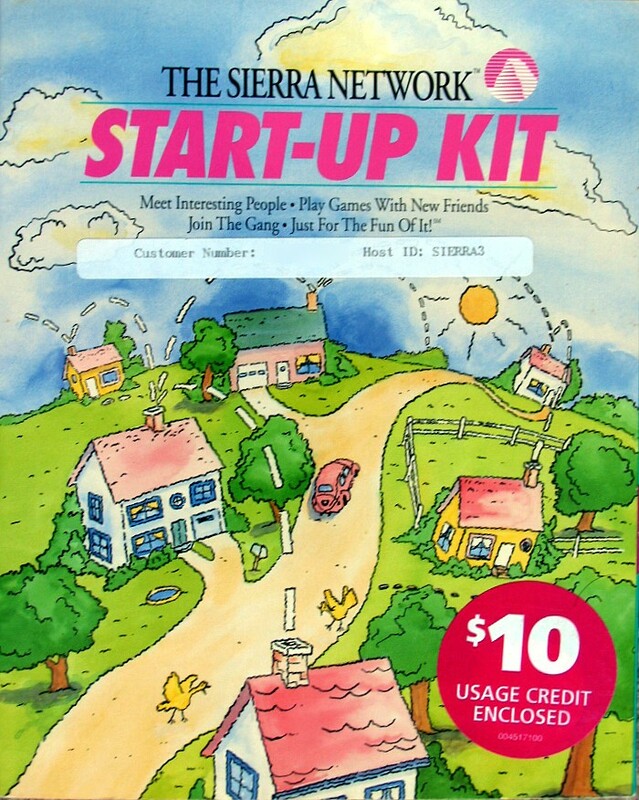 The Sierra Network originated with the idea to bring a Kings Quest-like experience to an online world, which would have been a few years ahead of its time. It mostly ended up being an online world featuring several smaller games – cards, casino games, minigolf, and a chess game that featured competition events against people such as Bill Gates and Warren Buffett. There was an RPG element to TSN, featuring games like The Shadow of Yserbius which allowed up to four players to play together (again, a big deal in the early 90’s! ), but the majority of offerings were smaller in scope. The thing about TSN that broke it for my family, and I’m assuming many other families, was the price. 10 hours of access a month would run you $19.95. An unlimited plan was available, at $119.95! Needless to say, my enthusiasm for All Things Sierra was not shared with the rest of my family, and the value of unfettered access to The Sierra Network proved non-existant. I had one glorious month with TSN, and then we pulled the plug. I have fond memories of it, though; this was at a time when nobody really knew how the internet would end up – I mean, everyone knew it was going to get bigger and bigger, but not exactly how. I was really inspired at the time that someone had taken this approach to gaming on the internet, something that seems so obvious now in the world of MMO’s and Xbox Live. TSN was eventually bought by AT&T in 1994, who ditched the unlimited plan and renamed it The Imagination Network. 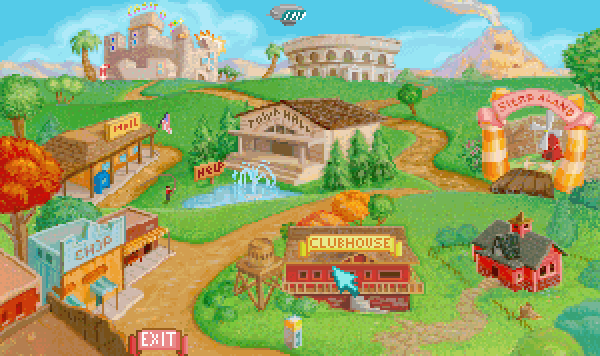 The more Leisure Suit Larry-esque elements were stripped in an attempt to make INN completely family friendly. INN was then acquired by AOL, who kept it afloat for a year or two before shutting the doors completely in 1996. 2. 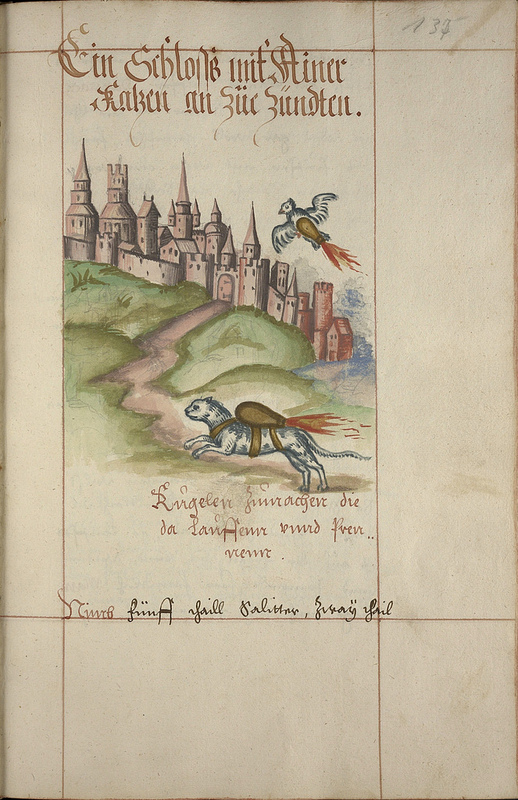 Rocket Cats – BibliOdyssey shares some scans from a 16th century German manuscript on weaponry. Kind of a shame that rocket cats aren’t still used today. Wait, not a shame. Not a shame. 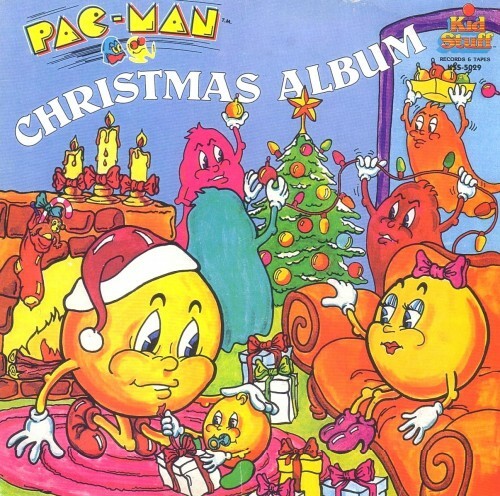 By all accounts the songs are pretty bad; here’s an example. 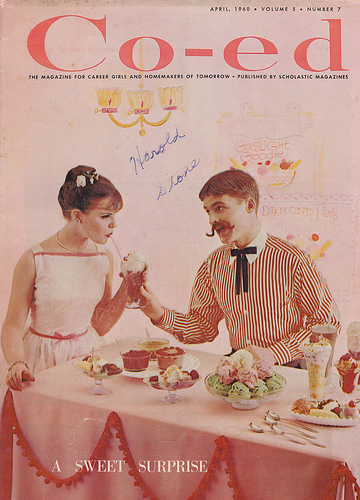 It is barely listenable. Don’t invite those ghosts over for Christmas! Send them something nice if you’re feeling charitable, but don’t let those jerks in! 4. 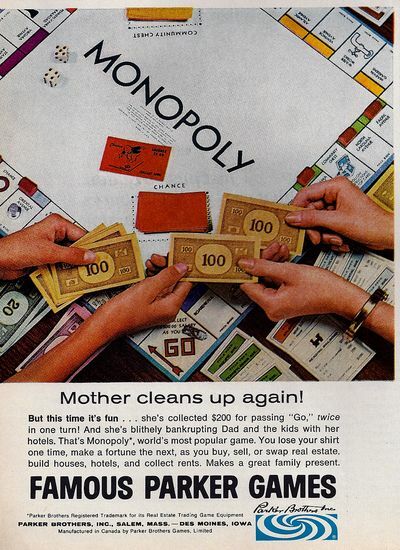 Monopoly Ad – Here’s 1967 ad for Monopoly. What’s Mom got up her sleeve? As I have a group of friends that we get together with to play Monopoly occasionally – I’m actually genuinely interested. Previous Post New Book: 40 Days of Green Smoothies!